Mysterious. Every now and then I step out of my comfort zone and try to read something in the sciences that I find unfamiliar. 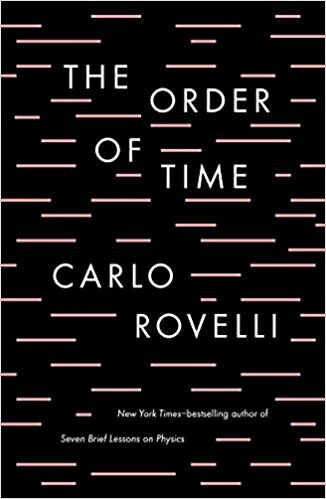 Carlo Rovelli presents a view of modern physics for non-scientists in his book titled, The Order of Time. Using plain language, he updates us on the contemporary understanding of time, and explores how much mystery remains on the subject. As expected, I finished the book with some head scratching, some bewilderment and a little more understanding about a subject I know a little better now than before I read this book. Rating: Four-star (I like it) Click here to purchase The Order of Time from amazon.com.